Are you looking for a car locksmith Leyland? Here at SR Key Solutions we offer a wide range of car locksmith services to ensure that you can be on the road as quickly and safely as possible. 24/7 Callout, Lost keys? Locked out? Our 24/7 mobile locksmith emergency call out means that we can respond to you as quickly as possible. Car Locksmith Leyland – Keys Locked in the Vehicle? SR Key Solutions are able to enter your car using non destructive vehicle entry techniques such as lock picking. We are able to gain entry to most private or commercial vehicles using a mixture of the appropriate vehicle entry tools and the correct lock picking techniques. 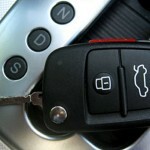 SR Key Solutions can produce replacement vehicle keys even when you have no keys. Some car manufacturers supply key number and immobiliser security codes which simplifies the process of replacing lost car keys. Car keys are our specialty and we are still able to produce new car keys even without this information. 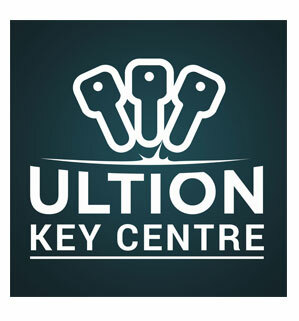 Our car key replacement service is available to the general public and motor trade. As a professional Mobile Locksmith Leyland, we offer a wide range of Auto Locksmith services to ensure a fast response and to get you back on the road as quickly and effortlessly as possible. Lost keys? Locked out? with our 24/7 Emergency Callout Service you can rest assured SR Key Solutions will be there to help 24/7. SR Key Solutions are professional Locksmiths & Auto Locksmiths based in West Lancashire near Merseyside. With vast experience and provide a fast, friendly and reliable locksmith service. We can access buildings and change locks using the latest Locksmith tools and equipment. We also provide a wide range of Car Locksmith services to ensure that you can be on the road as quickly and effortlessly as possible. SR Key Solutions are a company built on reputation with many satisfied customers. We welcome domestic and commercial enquiries. © SR Key Solutions 2016-2018. All Rights Reserved. Stephen Roberts T/A S R Key Solutions.